this is me writing some (metal) riffs using Konnokol (an Indian rhythmical system), to gain sort of a rhythmical meta-level for riffs. Like in a melodic and/or harmonic context you can then create tension and release. Neat idea. I think it’s made your frets go funny. Might sound cool if you layered a second guitar playing the same pattern but displaced in time. Hmm, nice idea. maybe it might work well especially for the scnd riff! Thx! Fantastic approach! Reminds me of Mahavishnu. That’s cool! I teach my students Takadimi, which is a Westernized version of the northern Indian rhythmic solfege. So cool how it lets you play things that would be absurdly difficult to count. Mattias Eklundh has a really great lesson on this technique. He gets really killer metal rhythms out of it! I remember buying this DVD years ago, but it’s now long lost and not available, thankfully it’s on youtube! 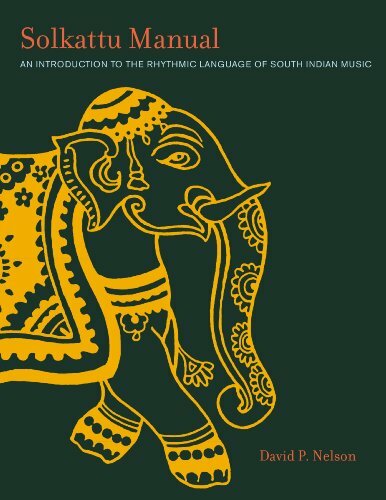 I believe this is one of the best sources to learn it from, John has done an insane amount of work with Indian music, and he’s like a national treasure, we Indians’ dont all know it yet. Thx guys, for all the response. Of course I know all the sources. I attended Freak Guitar Camp myself for 3 years (2015-2017), this year will be my next round. That’s so nice! I do the same with my students, breaking this method down for western culture. I teach the principles of this method (like time, pulse, cycle, atoms, etc) to get into rhythm and it works just amazingly good! It’s indeed a great DVD. Also there are some more into depth and also some lighter versions of the topic. I just found this book which is about to be launched in June 2019. Looking very much forward! Thank you for those references. This is such an interesting thread. Of course, you’ve got all the material for this method! McLaughlin is a pioneer for getting this out there I think, Mahavishnu and Shakti were incredible. Thank you for reminding me about this. Love the healthy diversity on this forum. Thx, for the nice words. And yes, I guess he probably is. (Though Beatles and probably many more before made the connection as well, right?) But then John made a totally new call to incorporate this into his music. – But actually I have to admit I never really got into the music of him or Mahavishnu… Guess I have to give it another try. Thx for mentioning the concerts. I’m gonna check them out! If you haven’t check out Vital Informations “Vitalization”. Great compilation of some nice “Korvais” in actual musical context. For some reason, things seemed less rehearsed, and they weren’t afraid to take risks in the 70s, I miss that wild energy from modern music. Yes, that’s totally my kind of approach… I’m so much into “just take the risk”, “play what comes first/to your mind”, “just let it flow”. Though sometimes I need to remind myself of not getting to sloppy. But I guess I will always prefer wild/great energy over overall perfect execution. And I totally adore the 70s and all the great (progressive/art rock/fusion) music that came from it. When both match, that’s when the magic happens! Yeah, got this too. Found it a bit more difficult to work with then the previous one… But good selection as well. I attended Freak Guitar Camp myself for 3 years (2015-2017), this year will be my next round. Have you read this interesting book, ‘Wheels within Wheels’? 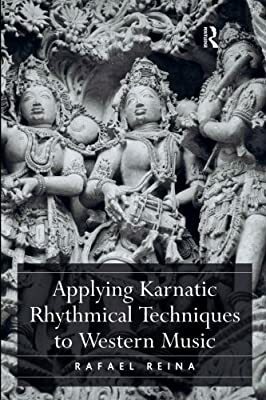 It starts with simple Solkattu/Konnakol patterns, then builds combinations of these rhythmic cells to generate complex polyrhythm cycles. Have you read this interesting book, ‘Wheels within Wheels ’? I have You Can Takadimi This too! And the main pianist & drummer I work with both spent time touring with heavy duty Indian musicians, so they’re a great resource. But for getting started, I like Richard Hoffman’s The Rhythm Book. It’s Westernized and so it’s not true Konnokol, but its internal consistency makes it more useful for all the western music up to the point where you get into some deeply crazy rhythmic things. It tightened up my playing a lot, and really shortens the learning curve for students. Plus it’s only ten bucks. Although weirdly unless you’re in the student bookstore at Belmont, the only way to get it is to email him.